For anyone who has had the misfortune of having permanent scarring, they will know that it can not just affect your appearance, but sometimes even your self-esteem and self-confidence. Scars – in particular those on visible parts of your body, such as your face or hands – are a permanent reminder of the accident or circumstances which created them. However, in addition to conventional treatments offered by plastic surgery for scars, modern medicine has provided a new, cutting edge way to heal scars. It’s called Platelet Rich Plasma – or PRP for short. And now PRP for scars is available in Miami. What is PRP? How does PRP work? Platelet Rich Plasma (PRP) – as the name suggests – is rich in platelets. But why is that important? Platelets are used by the body in its own natural healing process. Platelets contain ‘growth factors’, a form of proteins, which have helpful healing properties. 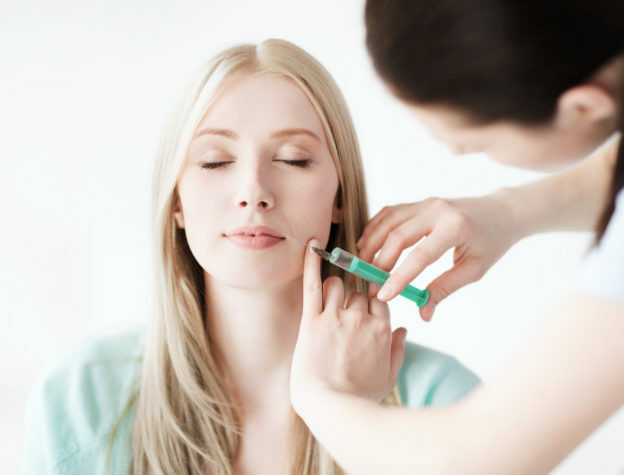 PRP therapy involves collecting a concentrated sample of platelets, then re injecting these into the area of scarring. These platelets then expedite the body’s healing. What are the advantages of PRP for treating scars? One of the main advantages of PRP therapy for scars is that it is non-invasive. In other words, no serious surgery is required. It simply involves injecting platelet rich plasma into the area of scar tissue. Another advantage is that it makes use of the body’s own natural healing process. This means that PRP therapy can be considered relatively natural – working with the body and supporting it in its own, natural methods. A final – and important – advantage of PRP therapy for scars is that it has shown to reduce the effects and visibility of scarring. However, an important side note: The sooner PRP therapy can be started after the injury, the greater the effectiveness, as the earlier the platelet cells can ‘get to work’, the better. Where can I get PRP for scars in Miami? Thomas Zaydon, M.D. has over two decades of experience providing plastic surgery for scars in Miami. He is experienced with a variety of scar reduction treatment options, including PRP therapy. Dr. Zaydon earned his medical degree from Drexel University in Philadelphia, Pennsylvania. Graduating with special honors, he also served as Chief Resident in plastic surgery at the Louisiana State University. He is a noted author of numerous articles and chapters on various aspects of plastic surgery. Currently, Dr. Zaydon is chief of plastic surgery at Mercy Hospital in Miami, Florida. Read more about Dr. Zaydon in his role as a plastic surgeon expert witness, workers’ compensation plastic surgeon, and plastic surgeon for scars in Miami, or read more about PRP for scars in Miami. This entry was posted in prp for scars Miami on September 25, 2017 by kpeacy.